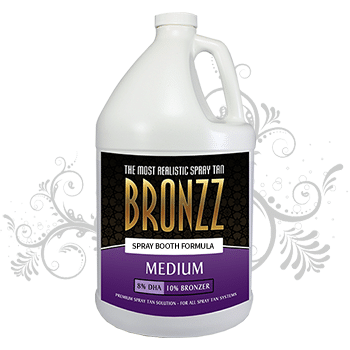 Give your customers the most realistic spray tanning solution made and they will keep coming back for more! Spray Tanning Solution is now available in a variety of brands, shades and sizes, but not all spray tanning solution is alike. At BronzzSprayTans.com we strive to only carry the best of the best airbrush tan solution and spray tan solution available. Whether you choose bronzz brand airbrush tanning solution, norvell sunless tan solution for spray on tan machines you are sure to please your clients with a realistically shaded tan, that lasts long, and fades evenly. 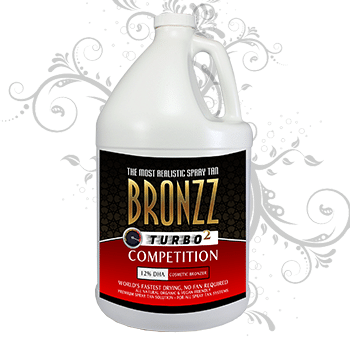 Browse our spray tanning solution products below and take your airbrush tanning business to the next level.